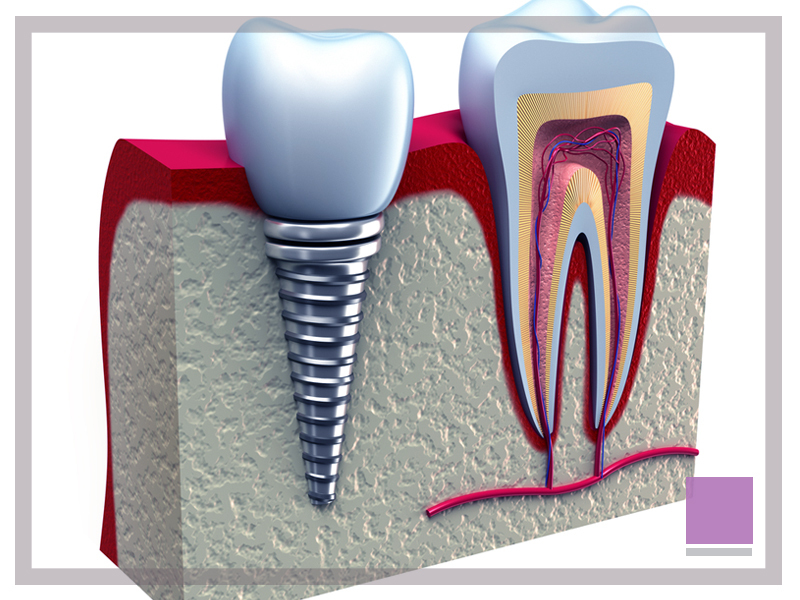 A dental implant is a small titanium screw which is surgically placed into the upper or lower jaw bone. Over time the jawbone will attach itself to the Implant, enabling replacement teeth to be permanently fastened into place. The Implant then acts as an anchor for replacement teeth in the form of a Crown, Bridge or stabilised Denture. Do you have missing teeth? A dental implant is an artificial tooth root usually made of surgical-grade titanium. This is the most modern and closest replacement for natural tooth. Missing teeth may make you insecure and self-conscious. You are looking for a solution to replace your teeth and restore your beautiful smile. It is comforting to know that missing teeth can be replaced in various functional and appealing ways. A tooth replacement with a dental implant is a natural-looking, long-term solution. This small screw-like device is placed in the bone of the upper or lower jaw. After the bone has grown around the dental implant, implants can hold a crown, bridge or overdenture just like roots hold natural teeth in place. Under proper conditions these restorations are virtually indistinguishable from natural teeth. The false teeth stimulates no foreign body reaction in the patient and the bone bonds to its surface. Dental implants are extremely cost effective as they have a 98% success rate. In addition, implants can help preserve shape of the face, preventing the bone deterioration that occurs when teeth are missing. If you are having only one tooth replaced, only one dental implant will be placed but for replacing all teeth in one jaw 5 or 6 dental implants are normally enough. Overdentures can be held in place with as few as 2 implants in some cases.